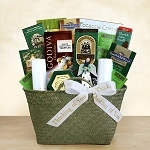 Choosing the right gift can be tough, and when someone you care about has experienced a loss, it can be almost impossible. 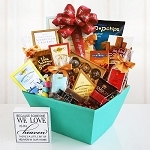 That's why GiftProse carries an incredible selection of Sympathy gift baskets that deliver heartfelt sentiment at every turn. 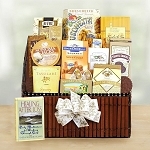 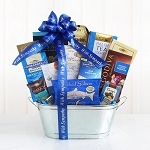 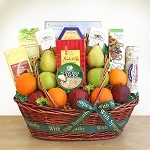 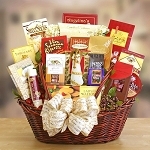 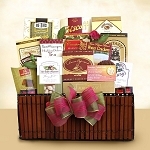 Choose from tasteful themes like Forever in Your Heart, Memories Shared and more, with each delightful gift basket overflowing with gourmet treats, fresh fruit and other enjoyable gifts. 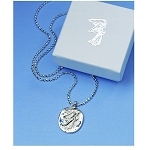 For a sympathy gift that lasts forever, the gorgeous silver Guardian Angel pendant always comes straight from the heart. 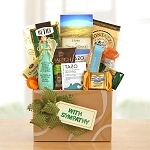 Like all GiftProse gifts, you can add a personal message to any of our Sympathy gifts that is delivered on a classy enclosure card. 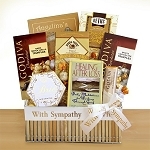 Simply click on any of the great sympathy and bereavement gift ideas below to order today!